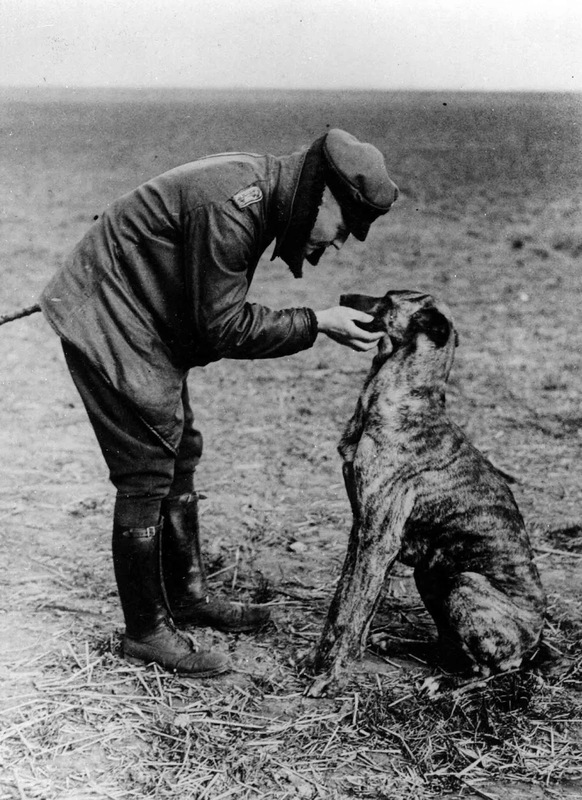 Manfred von Richthofen his dog Moritz, circa 1916. Manfred von Richthofen earned widespread fame as a World War I ace fighter pilot. Originally a cavalryman, Richthofen transferred to the Air Service in 1915, becoming one of the first members of Jasta 2 in 1916. He quickly distinguished himself as a fighter pilot, and during 1917 became leader of Jasta 11 and then the larger unit Jagdgeschwader 1 (better known as the “Flying Circus”). By 1918, he was regarded as a national hero in Germany, and respected and admired even by his enemies. A cool and precise hunter, Richthofen’s flamboyance was expressed mainly in his brightly painted aircraft, a Fokker DR-1 Dridecker. His success in the air led to his being named der Rote Kampfflieger by the Germans, le petit rouge by the French, and the Red Baron by the British. Richthofen was appointed commander of the Flying Circus in June 1917. Comprised of Germany’s top fighter pilots, the new unit was highly mobile and could be quickly sent to any part of the Western Front where it was most needed. Richthofen and his pilots achieved immediate success during the air war over Ypres during August and September. After scoring 80 confirmed kills, Richthofen was finally shot down as he flew deep into British lines in pursuit of Wilfrid May on 21 April 1918. Although Canadian flyer Arthur ‘Roy’ Brown – who was flying to May’s aid – was officially credited with the victory, controversy remains over who actually shot Richthofen down; other evidence suggests he was hit by a single bullet fired by Australian gunners in the trenches. In any event, Manfred von Richthofen crashed into a field alongside the road from Corbie to Bray. He was 25. He was survived by his brother Lothar, also a noted ace. A British pilot flew over the German aerodrome at Cappy and dropped a note informing the Germans of Richthofen’s death. Buried in France by the British with full military honours, Richthofen’s body was later exhumed and reburied in the family cemetery at Wiesbaden.